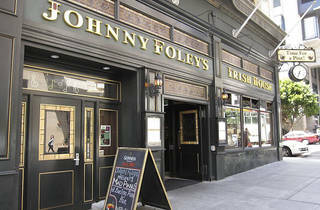 Johnny Foley’s is in the heart of downtown SF, just seconds away from Union Square. With its wood details, plenty of small, separately enclosed areas and historic paraphernalia dotting the walls, this classic Irish pub brings to mind the actual bars of Ireland. There’s a bustling and active quality to the space and the bar feels alive even on a quiet weekday around lunchtime. Upstairs, there’s a large square-shaped bar and dining room with plenty of tables that can accommodate groups. The extensive menu offers something for everyone, from the traditionalist seeking out a plate of corned beef and cabbage with boiled potatoes, buttered carrots and parsley cream sauce to the adventurous foodie hungry for mussels steamed in Irish whiskey cream sauce with bacon, garlic and parsley. 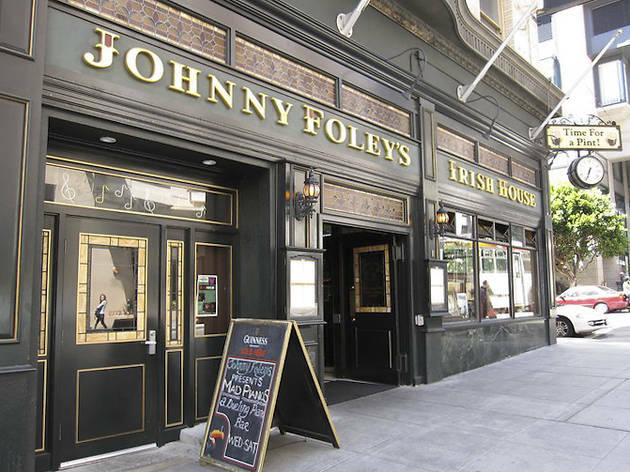 One of the things that makes Johnny Foley’s so unique is the downstairs cellar piano bar. Every Wednesday through Saturday night, tourists and locals gather to request their favorite songs from two dueling pianos.